“Mentor” and “family man” are a few words that describe pieces of the great legacy Los Angeles Fire Department (LAFD) Battalion Chief Jerome Boyd left behind. According to Johnny Green, LAFD Captain ll, of L.A City Fire Department, on Friday, April 28, Boyd, 55, passed away from heart related issues, while driving on duty. He was taken to the hospital by an LAFD ambulance; however, medical officials were unable to revive him. According to Caroline Boyd, Chief Boyd’s wife of 17 ½ half years, he did not have any symptoms or prior issues with his heart. She goes on to express the importance of Black men scheduling routine checks with their physician to have their heart examined on a regular basis. “I join the men and women of LAFD in mourning Chief Boyd’s sudden passing. It is always an unexpected tragedy to lose one of our own and my thoughts and prayers are with his family at this difficult time,” he said. 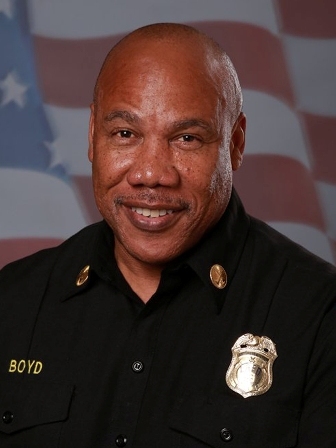 Boyd served more than 30 years in the LAFD. His life outside of the fire department involved mentoring at Excel, a program he co-founded, designed to promote upward mobility within the fire service. He was an avid fitness person, devoted father and husband. He leaves behind his three sons, daughter and wife. Captain Green, speaking on behalf of the department stated that Chief Boyd will be remembered for his competitiveness and hard work. In honor of Boyd’s accomplishments, a celebration of life service will be held at the Novo by Microsoft at L.A Live in downtown Los Angeles on Monday, May 8 at 11am.